The Kona Sutra has quickly earned a reputation as being one of the best touring bikes on the market. The Sutra has a full butted steel frame and weighs close to 15 kilos. It falls in the mid-range when comparing the prices of similar models. 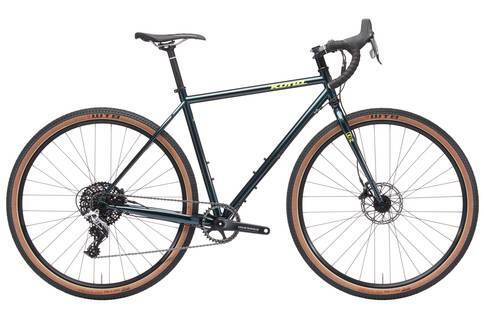 The Kona Sutra is definitely one of the best touring bikes that you can get for this price. Although it is a little heavy, this bike offers up a top notch performance due to its stability and ease of use. Furthermore, it is also incredibly comfortable. This makes it perfect for those longer rides.